In order to meet excellent quality standards, we are supplying Mahindra Mini Truck. We can provide the wide range of products for your varied requirements. MORE COMFORT. MORE EARNINGS. IDEAL CITY TRUCK. Presenting the biggest payload capacity of 1, 500 kg. Presenting the biggest cargo body of 2765 mm. 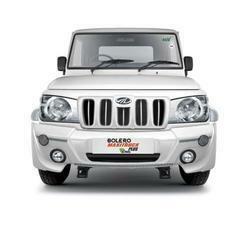 Presenting the Big Bolero Pik-Up. Experience greater comfort with its spacious, ergonomically designed cabin. Experience greater power with the turbocharged, 70 HP MDI engine. And more importantly, experience profits for your business like never before. Mahindra Automotive Manufactures Pvt. Ltd.
We are amongst the most reputed names in the industry, offering Mahindra Mini Truck.